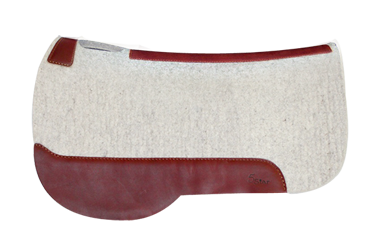 The Mule Trail Rider 32" x 28"
The Trail Rider 5 Star Saddle Pad was originally designed to fit the Tucker saddle. 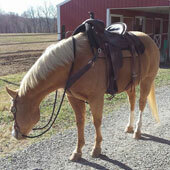 It is a square skirted pad that is a great trail riding pad for wider, shorter trail saddles. 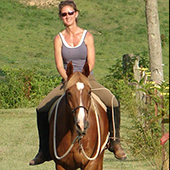 The 100% pure virgin wool felt wicks away moisture, cleans up easily and stabilizes your saddle with limited cinching. Wear leathers provide protection and durability. Hand-made in the USA!